Eggs are a part of a healthy diet. Although eggs received a bad reputation for a while because of high cholesterol, eggs have more nutritional benefits than health risks. Eggs are high quality complete proteins that contain all nine essential amino acids. Eggs have the distinction of being one of the only foods that naturally contain vitamin D. Scrambled eggs are a good choice for healthy breakfast and can be reheated relatively easy in the microwave. 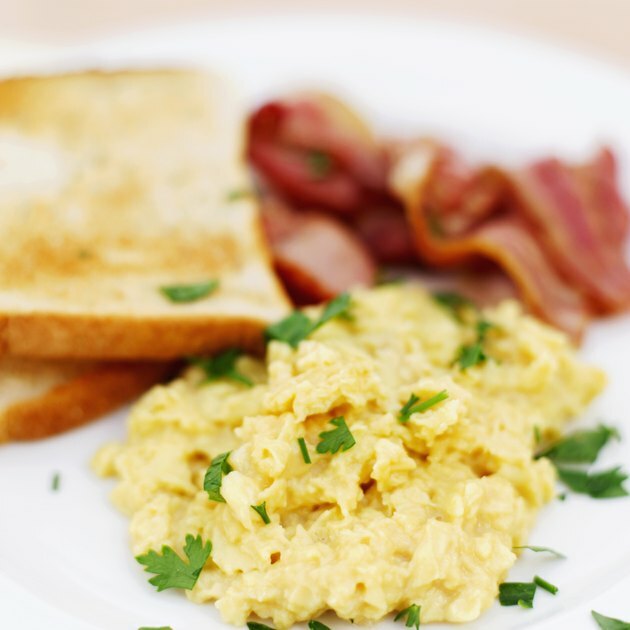 Store any leftover scrambled eggs in the refrigerator until you are ready to use them. This will prevent any bacteria from growing. Place the leftover scrambled eggs in a microwave safe dish. Sprinkle a little bit of water on the eggs to prevent them from drying out while cooking. Cook for 20 seconds on high. Check your scrambled eggs to see if they are hot. If they are still cold, cook another 20 seconds and check again. Eat your reheated scrambled eggs as soon as they are warm enough. You can eat the scrambled eggs plain or add with vegetables or cheese. Cooked eggs should not sit out for more than 2 hours. Eggs should be reheated to 165 degrees Fahrenheit before consuming.